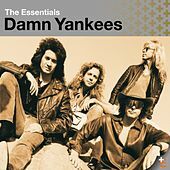 With unbridled shred power, high harmonies, and wind-blown hair, Damn Yankees are the '80s supergroup who were captained by Styx guitarist Tommy Shaw, Night Ranger bassist Jack Blades, and the one-and-only "Motor City Madman" Ted Nugent (see also: Uncle Tedly Von Nugeburg, the Wackmaster, Terrible Ted, Theodocious Atrocious, Deadly Tedly, the Great Gonzo, etc.). Though the key members knew each other before the collaboration, the group officially came together in the late '80s, using a moniker Nugent used to describe their sound (i.e. like "a bunch of damn Yankees"), not the Broadway war horse. Under the guidance of vet producer Ron Nevison, their self-titled debut scored double platinum in 1990, propelled by the lighter-waving power ballad "High Enough." The band immediately aced soundtrack hits on "Gremlins II: The Next Batch," and the Jean-Claude Van Damme vehicle "No Where to Run," among others. 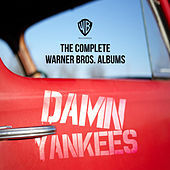 The Yankees' 1992 sophomore LP, Don't Tread, also went platinum, though Nugent left shortly after and 1995's Hallucination enjoyed less commercial success. Nugent rejoined in 1998 to do some tracking on a fourth record, tentatively titled Bravo, but the LP never surfaced due to lack of label interest.